As the outside temperature heads toward triple-digits, everyone in the family looks forward to splashing in a cool pool, and our furry pets are no exception. Whether your dog loves the water or wants nothing to do with it, we have a few tips to help keep your pet safe and your pool sparkly. Surprisingly, there isn’t much research available on the effects of dogs on pool maintenance, nor the effects of pool chemicals on dogs. Both salt-chlorine generators and traditional chlorine-based pools seem to be perfectly ok for pets. The levels of chlorine in a properly maintained pool are perfect for keeping microorganisms at bay and keeping the water sanitary, but are diluted enough not to be dangerous for pets or people. Of course, dogs, like people, can have sensitivities, allergies, or asthma – check with your vet if you notice symptoms in your pet after swimming. It’s a matter of common sense, but pool safety applies to pets and people alike. Pool chemicals need to be stored properly – labeled in original containers, kept out of reach of children or pets. Chlorine fumes (gas) can burn eyes, noses, throats ,and lungs, so keep those chemicals in a well-ventilated area. Additionally, when you’re adding chemicals to the pool, keep your pets indoors until you are finished. Once your pool is swim-ready, the next safety step is to make sure your dog knows how to swim and has a way to get out of the pool! Dogs may instinctively paddle, but they also may panic or get too tired to reach the steps or edge safely. Like children, they need supervision. If your pet is not comfortable around water or spends a lot of time outdoors without you, consider installing a pool fence for an added layer of safety. 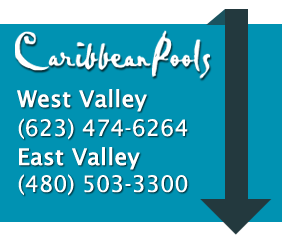 Our pets are family, and good pool safety and maintenance practices will keep everyone happy. As always, we encourage you to get outside and make a splash.